Here’s a true story about Hillary Clinton. No, no, no! I do NOT support her (this site is not about politics anyway). All I want to do by describing this is to make my point of WordPress 404 Error pages. Finding out more costs nothing. And you’re not committing to anything else. As you might guess, she got mercilessly mocked for her embarrassing failure. See! She makes even her Error 404 page to grow her tribe! By exploiting her embarrassing situation and using a simple Call-to-Action (‘signing up to volunteer’). Why Create a Custom WordPress Error 404 Pages? When your visitors hit “Error 404 – Page not found,” they get confused, don’t they? So, in your opinion, what do they do in that confusion? Let’s be clear from the start – most probably they just click away. You are left with the distressing fact that you just lost another hard-fought visitor. A great way to lose potential customers. To avoid this embarrassment (this time yours), the custom 404 Error page lets you provide a soft landing to your visitors. You give them a super-duper user-friendly web page that keeps visitors on your site and helps them find what they’re looking for. How to See My Error 404 Page? Do you know how your Error 404 Page looks like? In fact, it’s amazingly easy. Open your website, then type the URL that you know does NOT exist. Now your WordPress default Error 404 page should load up. See! It’s easy, right? You can do the same with every single website. Here you find 60 more excellent WordPress 404 error pages. Now try it with your own blog. See what kind of Error 404 page shows up. Don’t wait the right moment to start a business. It never arrives. Start whenever. Now. The page that uploads is probably your WordPress default 404 Template. I am going to show you just two simple ways. 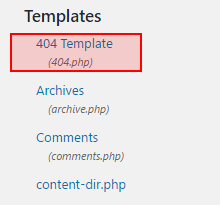 One way is to customize your WordPress Error 404 template (404.php file). The second way is to create and set up a brand new custom Error 404 page. This method has its own pros and cons. The positive side is that you don’t need to deal with the .htaccess file (more about it later) or create a new WordPress Error 404 page. All you need to do is modify the 404 template which is already up and running. The downside here is that you need to deal with HTML and CSS code a little bit. I try to help you as much as I can but if you don’t feel comfortable with it, well… Maybe you want to consider the second option instead. After logging in to your WordPress Dashboard, navigate to Appearance → Editor. It will open your site’s Stylesheet (sheet.php) in the text editor. In the text editor, you will see the WordPress 404 template. This is the code you want to customize. I’m going to offer you a very basic fix because I don’t want to go deep into CSS coding here. Now, the question is – Do you want to keep the headline, change it, or remove it? To modify the headline of the Error 404 Page, just change the text (in the blue box above). To remove the headline, delete the whole line (everything in the red box above). Now, why should you want to remove the headline? The headline takes some valuable space, and if you plan to use images, some more text, links, etc., it might force visitors to scroll. To avoid the need for scrolling, I decided to remove the headline and use an image instead. After you have your image uploaded, you need to change its URL here (more about it later). Now it’s time to prepare your image. Use some image editing software like Photoshop or Paint.net (FREE). It’s up to you what to write there. Well, have you finished with your image? Great. Now it’s time to upload it to your WordPress Media (WordPress Dashboard → Media → Add New). Remember, you needed to change the image URL? To get the right URL, click on the uploaded image (Edit Media). On the right-hand side, you see the Save drop-down menu. You may also want to change its alt-tag (the blue line). Just type something else in that place. Remember, Error 404 Page is to keep visitors on your site and redirect them to their destination. Therefore, you may want to add some useful links to the 404 Template. In my case, I added a link to my blog’s sitemap and homepage. The search box was already there. See! There are two links to a sitemap and homepage. Modify the text and links as you like best. 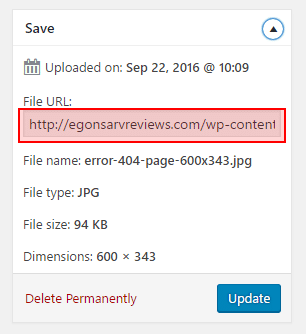 After finishing customizing the WordPress 404 Error page, click on the ‘Update File‘ button. Type a URL of your blog that you know does not exist. 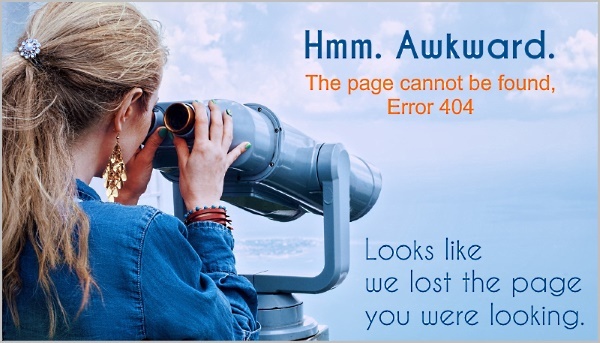 The modified 404 Template should load up. If you prefer to use this method, it’s very easy to create your Error 404 page. However, you also need to add another line to your .htaccess file. It’s easy if you know how to do it. Note! If you do NOT know how to create or modify the .htaccess, in this tutorial here I guide you step-by-step through the whole process (You will find it under a subtitle: Method #2 – Redirect 301 Htaccess, and here you find everything you need to know about .htaccess). Give it a short permalink. In my case, it is 404page. At the moment your custom Error 404 page is just another WordPress page. Nothing special here. What you need, though, is that when visitors hit Error 404, they are guided to that custom Error 404 page. By exploiting that .htaccess file. Therefore, download and open the .htaccess file. Save the file and upload it. Make sure you type in a non-existent URL of your blog. If you enter the URL of your custom error 404 page, it obviously uploads. But that is not what you want. You want to see whether the custom Error 404 page uploads when you hit the non-existent URL. 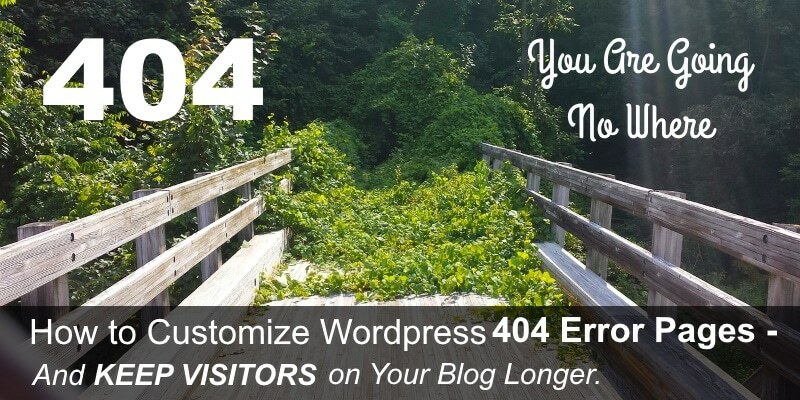 Now you know why and how to customize WordPress 404 Error Pages. What other ways do know to set up custom 404 Error pages? Please let me know by leaving a comment below. 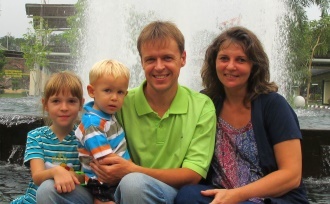 Hey Ergon: Thanks for your very interesting post! I am one of the technologically challenged so I’ve bookmarked your post for later reference. It is certainly lively and very informative and I do appreciate the boatload of information you’ve provided. I will need to study it more, I am thinking. Great to hear you found the tutorial helpful. I always work hard to make my guides as easy to follow as possible (even to a complete novice). So I expect you can do it. And these small details (like an Error 404 page) give your site that extra fragrance, which makes it unique. Thank you, Andres, for taking your time and give me feedback. I am happy to read your thoughts. And I am happy to hear you found the post helpful. Brilliant! I would definately need to spend more time following your instructions but I like what I see. As a matter of fact, I get a pic whenever I encounter a 404 in one of the companies for which I am an affiliate and I enter something wrong. It is a humorous but embarrasing moment type of page for them letting me know the problem is on their end. Thank you for your kind words, Edward :) And I am happy to hear you found the tutorial helpful. Obviously, 404 page is not the most important page in one’s site. But it’s still part of it. And often, small details (like how you have handled the embarrassing 404) show how much you care about your customers.